Wood Wood has come out with an exclusive denim collection that is only for sale at Monar Antwerp. Last week, my jacket has stole the lime light. 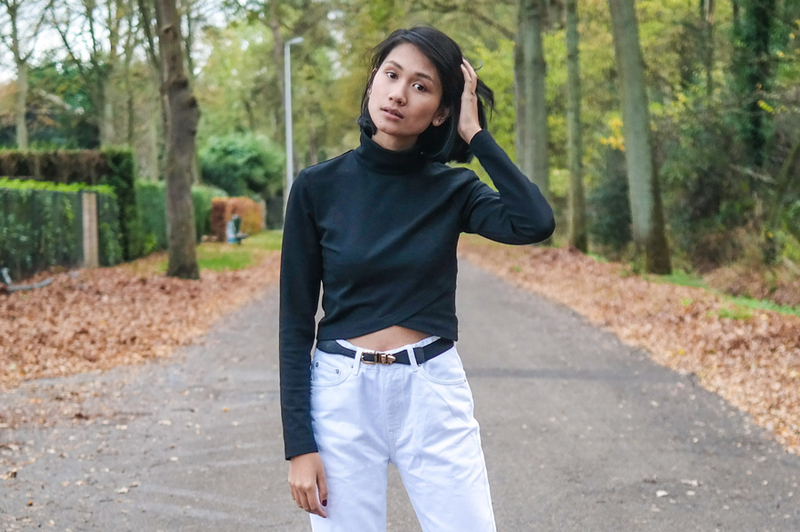 This week it is all about my white boyfriend jeans. Last week you’ve already gotten a glimpse of my crispy white jacket from Wood Wood. Today I’m showing you a clothing piece that guys hate on girls but girls absolutely love: the white boyfriend jeans. I’ve got love and hate for this pair of jeans. Guys are hating how baggy it looks and girls are loving how one of a kind it looks. As a fashion lover, this jeans is nothing but pure gold for me. As I say to all the haters who hate my outfits: It’s fashion, you don’t have to understand. 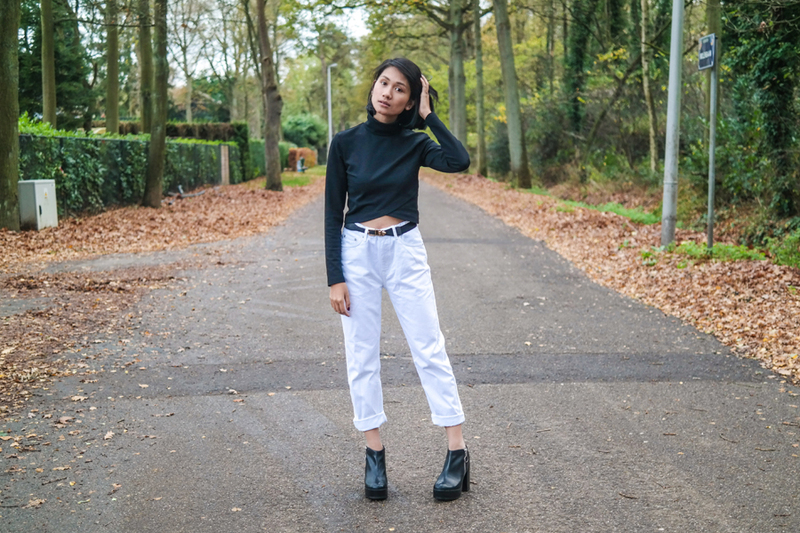 Something like a baggy pair of white jeans is pretty much an eyecatcher. Dressing up to wildy, filled with prints would also work (in my mind it does) but I’ve opted for something more classy and monochromatic hence the black top. The crop top has an interesting wrapped detail that gives the outfit that subtle touch. Tell me, are you a fan of boyfriend jeans? Previous Post Previous post: Wood Wood’s Exclusive Denim Range!